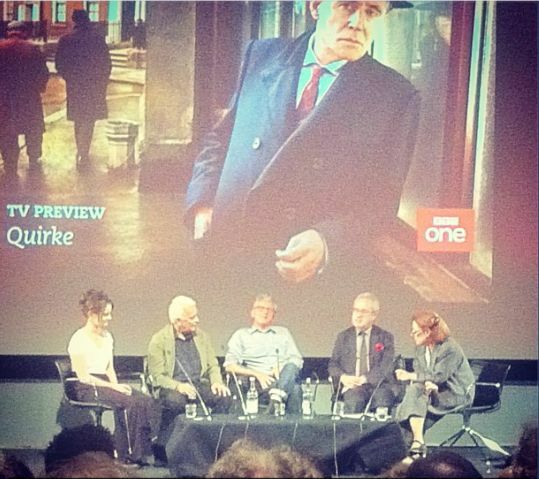 Lots of lucky Londoners attended the preview of the first episode of Quirke at the BFI Southbank venue last night. And apparently they all had a great time and were very impressed with the show. Oh! I really like that last one! Also the Sara M tweet. Yes! And Ian Wylie is very enthusiastic. And Jacqueline…well, obviously everyone was pretty happy with what they were seeing and hearing during this preview and the panel that followed. No one tops Tess Sidhu, however. 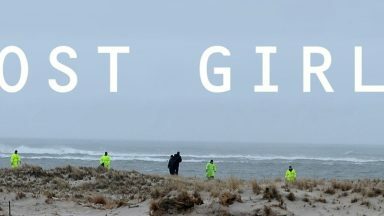 Tess returned home from the event and then left a series of comments on this posting with all of her impressions and thoughts from the evening. She took great notes! I have taken the liberty of putting her comments here, in a darker and larger font, so you can read them more easily. Thank you, Tess! As I noted, we all appreciate your willingness to share your experience so much! I have just come back from the preview screening of Quirke and the panel discussion afterwards. 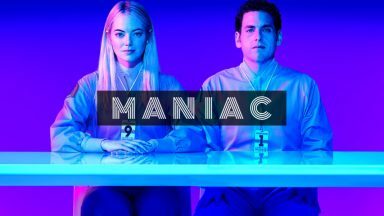 I enjoyed the first episode very much. I made lots of notes. 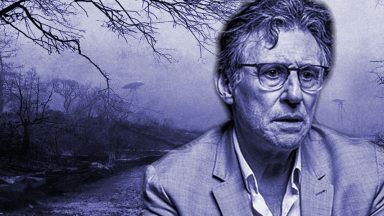 Gabriel Byrne was mentioned quite a bit. I wasn’t brave enough to ask questions. Once I sort out my notes, I can write about it in more detail. Just a quick summary of the panel discussion which covered Aisling Franciosi’s role, the awareness of the Benjamin Black novels, how the director got into directing the first episode, adapting the book into the screenplay, on the collaboration between writer and screenwriter, Ireland and the story of Ireland in the episode, use of light and dark in the episode, Gabriel Byrne’s portrayal of Quirke. The discussion was chaired by Frances Fyfield, a well know crime writer. Aisling Franciosi spoke about the fact that she had seen an article about Gabriel playing the part of Quirke. She started reading the Quirke books and researched into what was going on in the 1950s. She added there would be repercussions for her character, Phoebe. Andrew Davies, the screenwriter, was more familiar with John Banville’s novels than the Benjamin Black novels. It was suggested that he read the Benjamin Black novels, which he thought were beautifully written and deep and complex. John Banville said that Benjamin Black came into the picture before he had received the Booker prize. He has always read crime fiction and went to Italy to write it. The director John Alexander was sent the piece. He liked it because of its many layers. On the screen adaptation of managing the transitions between Dublin and Ireland, Andrew Davies said it wasn’t difficult. It is close to the original. John Banville was involved in the adaptation in the sense that Andrew Davies showed John Banville his first draft as he was worried about the Dublin idioms, which John corrected. John Banville also showed Andrew Davies around the key places in Dublin. They say directors prefer it if the writer is not on set. There was lots of involvement at the read through. 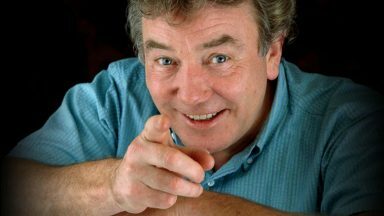 John Alexander was the bearer of bad news for Andrew Davies when the scenes had to be rewritten. Andrew Davies commented on the music, which I have to say was very atmospheric. It is said that the characters in novels are parts of the writer. Frances Fyfield put this question to John Banville. He replied that all the characters are part of him. He went on to say that he was Phoebe. On Phoebe, John Banville felt that Phoebe was a stronger character than Quirke. There are lots of twists and turns to come! Frances Fyfield commented that the story has sociological implications. John Alexander added that the people had lots of tales to tell about these implications and felt a sense of betrayal. There were several questions and comments from the audience. One comment was that the look of the episode was sinister. John Alexander agreed the colour palette was dark and even in the scenes in Boston, in spite of the sunshine and brightness, darkness is still lurking around. A member of the audience asked John Banville what was the fictional inspiration of Quirke. To which he replied that there is a darkness in all of us. He went on to say that Quirke was a damaged person. He feels that the world is strange and dark and exquisite and luminous too. Andrew Davies added that Phoebe is the ray of light. 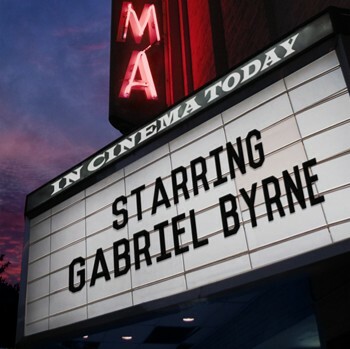 The director’s response is that Gabriel embodies Quirke. He has an amazing stillness, integrity, ability to portray the complexity of the character, who is trying to do his best, one who has dark secrets and is a paradox. Frances Fyfield makes a joke that Gabriel Byrne never raised his eyebrows once! Andrew Davies adds that Gabriel Byrne has a curious integrity and that in Millers Crossing we never know which side he is on. In the books Quirke is described as six foot four with fair hair but Andrew pictured him to be more like Gabriel Byrne. 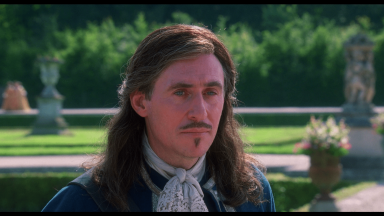 In addition John Alexander says that Gabriel Byrne understood the Irish background to the story. I’ve read through these comments three times now and each time I get more excited! I am so happy that Frances Fyfield moderated this panel! I have been a fan of hers for years and she is a great mystery writer. The Helen West mysteries are wonderful. She has also written many novels and I especially remember The Playroom and Half Light. After you have read the Benjamin Black Quirke books, you should read Frances Fyfield! I highly recommend her. Visit her website to find out more about her books and other work. John Banville is one of the great novelists of our time. His work as Benjamin Black is stunning. The Quirke books are mysteries, yes, but so much more. 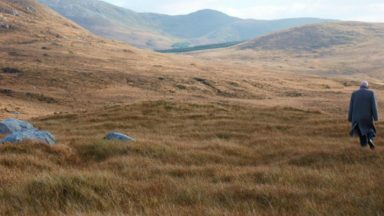 He captures Ireland’s past (critics say this–all I know is his attention to detail and the way he brings the past to life is remarkable) and his characters are full-blown people, not chess pieces to be moved about to further the plot. I am so glad his Quirke stories are being filmed. And Banville’s novel The Sea has been made into a feature film and will be released soon. He is a busy man. Thanks again, Tess, for sharing with us. 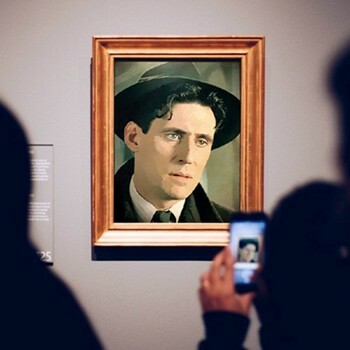 While Gabriel Byrne films are showing at film festivals all over the world, lucky Londoners will get a chance to see a preview of the new BBC drama Quirke on June 20 at the British Film Institute Southbank venue. The screening includes a panel for Q&A afterwards. On the panel: writer Andrew Davies, director John Alexander, author John Banville and various cast members. Confirmed so far is Aisling Franciosi, who plays Phoebe. Being shown is the first episode in the Quirke trilogy, Christine Falls. This is a wonderful opportunity to engage with the creators of this new series. John Banville and Andrew Davies are giants in the world of literature and screen-writing. I would fly over if there were an airport in the little town in which I live! 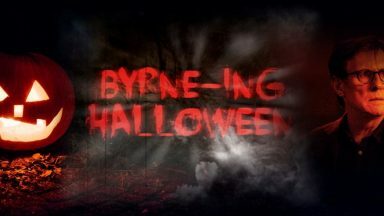 Read more Byrneholics articles about Quirke and get ready for the premiere of the series in the UK sometime this Fall. Many thanks to Sabine for the heads up about this on Facebook! 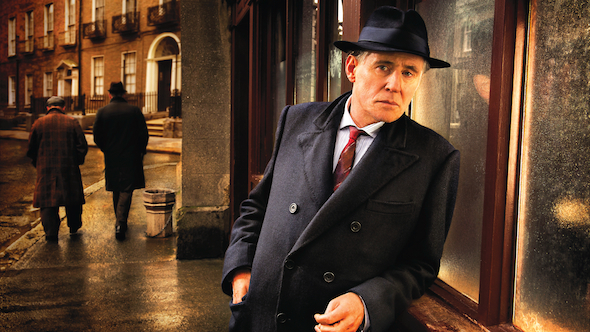 THIS JUST IN: You can pre-order the Quirke DVD at the BBC Shop online. Release date = August 26, 2013. This does not work if you are in the United States. Thanks to Cara on Facebook for this great news for people in the UK! June 20: Just learned from Sabine on Facebook that you can pre-order the Quirke DVD from Amazon.uk and I successfully did this! The release date is still August 26. Let’s see if that date stays firm! 1. Mr. Banville: Christine Falls started out as a screenplay. Then you became Benjamin Black and Christine Falls was the first in your series of Quirke books. Did you return to the original screenplay in any way for the new TV series? How has Quirke changed since you first created him? 2. Mr. Davies: You have written original screenplays and also brought so many adaptations of well-known books to television. What was it like adapting a mystery by Benjamin Black? How did you get under the skin of Quirke? 3. Ms. Franciosi: I am really looking forward to seeing you portray Phoebe, a crucial character in the Quirke stories. Had you read the books before being cast? What was it like bringing Phoebe to life on the screen? 4. Mr. Alexander: What a great cast! What great writing! But none of it works without you. You essentially created three full-length films for this series. How difficult was that to do or was it easier than we might think? And how did you go about re-creating and capturing 1950’s Dublin? Is there enough of “old” Dublin still around to make that easier than we might think, too? 5. 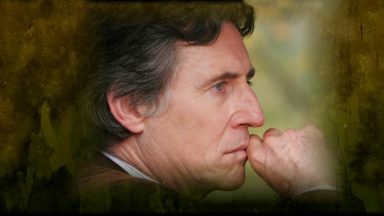 Mr. Banville: Many Gabriel Byrne fans think Mr. Byrne is perfect for the role of Quirke. What do you say? The discussion was chaired by Frances Fyfield, a well know crime writer. Aisling Franciosi spoke about the fact that she has seen an article about Gabriel playing the part of Quirke. She started reading the Quirke books and researched into what was going on in the 1950s. She added there would be repercussions for her character, Phoebe. Andrew Davies , the screenwriter was more familiar with John Banville’s novels than the Benjamin Black novels. It was suggested that he read the Benjamin Black novels, which he thought was beautifully written and deep and complex. John Banville said that Benjamin Black came into the picture before he had received the Booker prize. He has always read crime fiction and went to Italy to write it. There were several questions and comments from the audience.One comment was that the look of the episode was sinister. John Alexander agreed the colour palette was dark and even in the scenes in Boston, inspite of the sunshine and brightness darkness is still lurking around. The director’s response is that Gabriel embodies Quirke. He has an amazing stillness, integrity, ability to portray the complexity of the character, who is trying to do his best, one who has dark secrets and is a paradox. 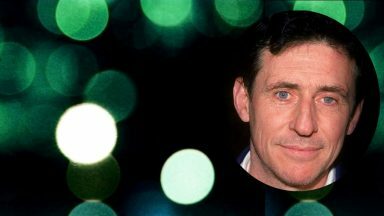 Frances Fyfield makes a joke that Gabriel Byrne never raised his eyebrows once! 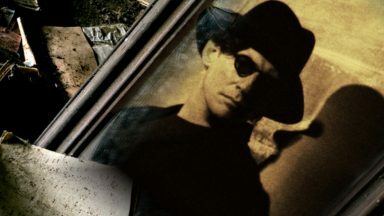 Andrew Davies adds that Gabriel Byrne has a curious integrity and that in Millers Crossing we never know which side he is on. In the books Quirke is described as six foot four with fair hair but Andre pictured him to be more like Gabriel Byrne. 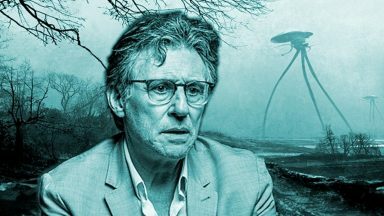 In addition John Alexander says that Gabriel Byrne understood the Irish background to the story. Apologies if I am incoherent or for any spelling mistakes! It’s getting late! Tess! Thank you SO much for sharing your notes and impressions from the panel at the Quirke Preview! You know, I believe all of my questions were answered. Wow. These details you have provided are so much fun and also so enlightening. You were lucky to be there and we are lucky to have you share your experience with us! Thank you. Very interesting. Await the series with impatience. Thank you very much T Sidhu! You have given us so much interesting informations about the Quirke stories and the work behind it. 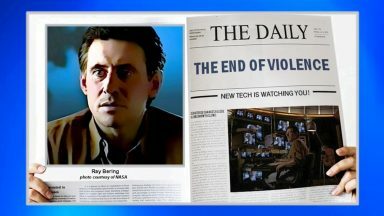 I am so much looking forward to see the tv episodes in the future. I really loved the novels. It was great to be there. I found John Banville to be funny. I haven’t read the Benjamin Black novels as I don’t normally read crime fiction. I might however make an exception! The Quirke stories are real novels. Everyone talks about them as “mystery” or “crime” books, but John Banville can’t keep from writing beautifully and in a compelling way, so the Benjamin Black books are novels first, stories about death and mystery second. Why? The characters and the setting. You will see! I’ve put your comments up in the main posting so people could read them more easily. I hope you don’t mind. Thanks again for sharing this great stuff with us! John Banville is much, much more than crime novels… Enjoy. Thank you for sharing this information, Tess! I’m happy for you that you were able to attend the screening. There are other British dramas involving pathologists. However, I think the first episode of Quirke may possibly be different from other series featuring pathologists as it covers a very sensitive and difficult subject.